The multipliers are not 100% law for every instance. They aren't even stated in the actual manga or anime and the only one actually stated by Toriyama himself was the 50x one and he said he originally intended it for be a x10 multiplier. Ssj2 teen Gohan was even stated to be at half power but was clearly stronger than he was as a ssj, so for at least that instance, maybe due to Gohan's rage boost, his ssj2 was more than a x2 multiplier. So you can't just say, because of the multipliers it has to be this way, especially since we don't even know ssj2 Kefla's true power. Imo she is probably weaker than SSBE Vegeta (after pride boost) and GoD Toppo, and possibly end of ToP SSB kkx20 Goku. Plot is the main driving point in how power levels go, and that goes even more for Super which doesn't make sense half the time. By your logic Goku going ssj2 should make him 100x stronger, yet his base form was matching ssj2 Caulifla, and after going ssj2 he only did a bit better. Going by Z logic, a 100x boost should of allowed him to snap her out of existence if he wanted to. I mean Goku being able to fight Caulifla in base was very thoroughly explained in the story. Some people dont like the explanation but the story made it clear that caulifla had a huge power advantage but Gokus fighting experience and skills gave him the edge. 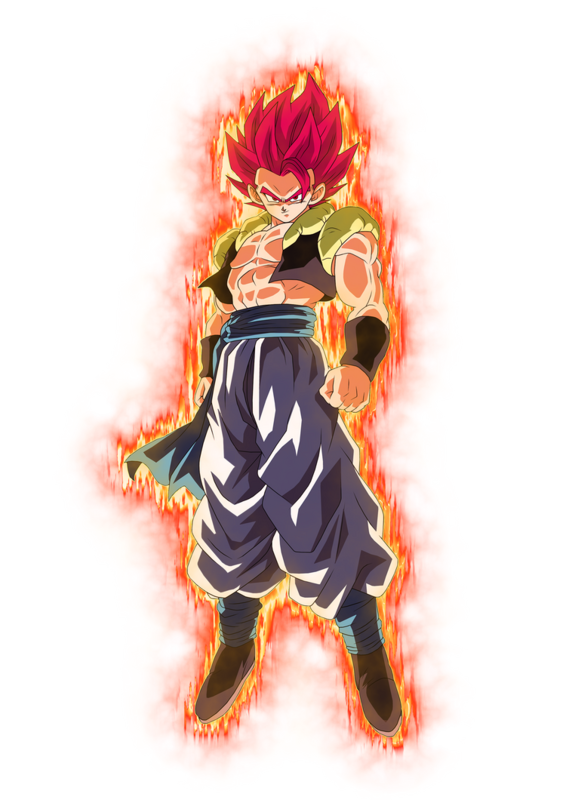 Then Caulifla adjusted to goku's fighting style and he was forced to go SSJ2 to match it. And SSJ2 Kefla is already far stronger than SSBE Vegeta even after his rage boost and GoD Tpppo also. She was on par with the 2nd Omen. Polyphase Avatron wrote: Dyspo vs. Toppo, has this been done yet? No, probably because the outcome is obvious. Dyspo has no chance of beating his own leader. But can Toppo catch him? Zamasu55 wrote: No, probably because the outcome is obvious. Dyspo has no chance of beating his own leader. I wouldn't be so sure, Dyspo might be too fast for him. PFM18 wrote: I mean Goku being able to fight Caulifla in base was very thoroughly explained in the story. Some people dont like the explanation but the story made it clear that caulifla had a huge power advantage but Gokus fighting experience and skills gave him the edge. Then Caulifla adjusted to goku's fighting style and he was forced to go SSJ2 to match it. And SSJ2 Kefla is already far stronger than SSBE Vegeta even after his rage boost and GoD Tpppo also. She was on par with the 2nd Omen. You can't be outskilled by someone 100x weaker than you. Frieza never even trained yet put up a fight against Goku, who was a master fighter, and ssj Goku was actually stronger than Frieza. It has been shown numerous times when the opponent is multiple times above the other one that they can just stand there and tank their hits. Also Goku was tired when fighting Caulifla so his base wasn't even at full power. And ssj2 Caulifla wasn't on par with UI omen Goku, she lost, and couldn't even touch him. Only her desperate final attack was dangerous. Like I said, an explanation was given. Whether you like the explanation or not is your own choice. You said SSJ2 Caulifila wasn't on par with UI Omen but I think you meant SSJ2 Kefla. She was on par purely in terms of strength. If any of her attacks hit she could have done a lot of damage. That was the whole point of UI, he could dodge extremely well. Like I said, in terms of raw strength SSJ3 Kefla would be the strongest in the tournament but I think she would still lose to Completed UI for the same reasons she lost to the 2nd UI Omen as a SSJ2. Stronger character Arale (gag powers) can beat? - Manga Hit is slightly stronger than Completed SsjB Goku with Time-Lag. In the anime, Hit was praised by Goku after fighting Dyspo, and he's got an even better attack (Cage of time). Overall, Anime Hit did much better than SsjB KKx20 Goku against the Gray. - Manga Bergamo is weak as hell. 18 one-shots. - 18 was struggling against Ribrianne. Goku is leagues above her. PFM18 wrote: Like I said, an explanation was given. Whether you like the explanation or not is your own choice. You said SSJ2 Caulifila wasn't on par with UI Omen but I think you meant SSJ2 Kefla. She was on par purely in terms of strength. If any of her attacks hit she could have done a lot of damage. That was the whole point of UI, he could dodge extremely well. Like I said, in terms of raw strength SSJ3 Kefla would be the strongest in the tournament but I think she would still lose to Completed UI for the same reasons she lost to the 2nd UI Omen as a SSJ2. They explained why base Goku kept up with ssj2 Caulifla, they didn't explain he was beating someone 100x stronger than him. Ssj2 Caulifla was stronger than him, but not by 100x. And I don't remember Kefla doing anything that put her on the level of UI omen Goku powerwise besiders her final desperate attack. - Anime Hit, he pushed Jiren more imo and was around ssb kkx10 level. -18, the manga trio was fodder. -Goku one shots her. Manga 18 is still probably only androids saga tier and would still lose to cell games Goku. 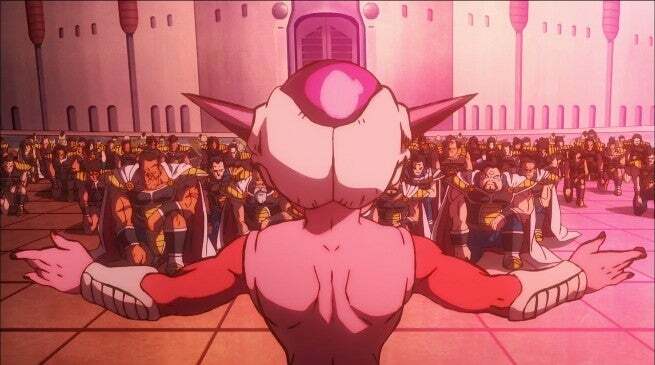 -Anime Bergamo wins since manga Ribrianne was getting stomped by manga 18 and only lasted a few panels. At best I would put her around namek Frieza to androids tier and anime Bergamo was at least around Buu tier. -Anime Basil since he at least played with Buu a bit while manga Napapa just got owned by Piccolo. -I can't say yet, manga Jiren hasn't showed enough. The manga versions seem to be weaker overall imo. Though it makes more sense that way. The anime just made a lot of the characters stronger for more epic fights. She could have killed Goku had she hit him, and she wasn't THAT damaged by Goku's attacks. Only reason she lost is because of UI OMen's auto-dodge not because she didn't have the raw power. In the case of SSJ3 Kefla, I think she would have the most raw power in the tournament but would still lose to UI Goku(or atleast the final, enraged power boost version of UI) for the same reason she lost to the 2nd UI Omen. Piccolo is far weaker than Boo arc Ultimate Gohan. Not sure how he would ever beat Super Saiyan God Goku. supersaiyangodgogeta wrote: Piccolo is far weaker than Boo arc Ultimate Gohan. Not sure how he would ever beat Super Saiyan God Goku. 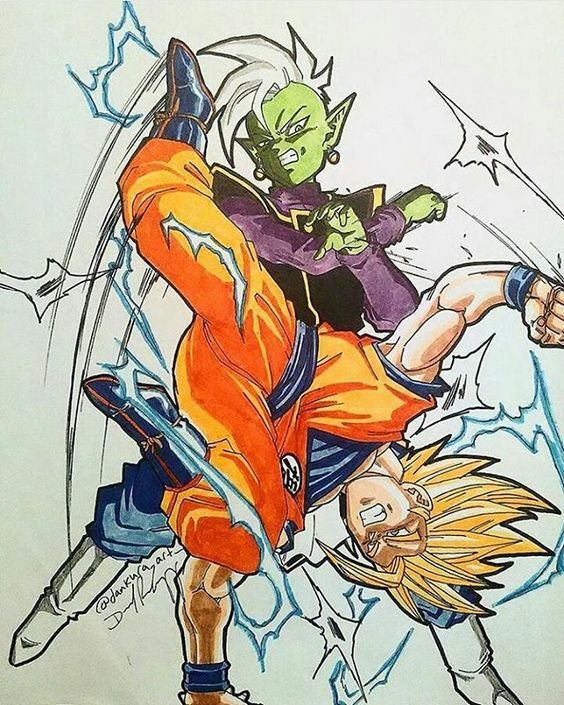 Piccolo is more than capable of defeating Ultimate Gohan (Buu Arc) but ofcourse SSG is a whole new level, though Piccolo (ToP) would be able to give SSG Goku a decent fight (BoG Arc). None of those guys are really anywhere near on the same level as SSG Goku was, even back then. I would say that Piccolo is still weaker than SS Goku and more comparable to Goku's base form, due to Goku having the same response to Picclo's big final resort attack as he did in the OG Dragonball where they were roughly even. I would say that at least for the anime version. The manga version is harder to say, but I would still say his only roughly Super Saiyan level. I don't think everyone got that much stronger, or more accurately, I think after the movie retellings, they dialled down the characters to their previous levels so to keep the area of Gods still a little special for characters of Blue level power. Considering the fact Gohan was described as being weaker than he was at his peak, and only really re-attaining that peak during his training with Piccolo, I think he was only really at his pre-ultimate Buu arc level in the anime when he fought in the exhibition match. I think its also worth noting that Goku literally fought and was doing a decent job of matching up to all three of the Trio De Dangers at the same time in the tournament, so I think that says something about base Goku being a real powerhouse in the anime. He was outmatched and got his arm chopped off by a Gohan whom was only stated to have reached the strength that he had against Boo. Boo arc Ultimate Gohan>Piccolo. Goku finger flicks. Piccolo still hasn't proved he is above Buu. Anime Kale loses since she is a featless crybaby, manga Kale wins due to moving so fast nobody noticed her.